Dinardo presents medical residents and fellows. Dinardo presents to medical residents. Zach Dinardo was appointed to the Health Care Section Council of the Illinois State Bar Association. Presentation: “Entering Practice: Physician Employment Agreements"
On April 12, 2012 and November 28, 2012, Zach Dinardo gave a presentation to medical residents of the University of Illinois entitled, "Entering Practice: Physician Employment Agreements." Expert panel discusses impact of Affordable Care Act. On October 23, 2013, Zach Dinardo was part of an expert panel that discussed the impact of the Affordable Care Act on businesses at the Greater Springfield Chamber of Commerce Business Healthcare Forum. James G. Fahey and Jeffrey T. Baker successfully defended an Illinois Municipal Retirement Fund pensioner in front of the Illinois Supreme Court and prevented the forfeiting of over $300,000 in pension benefits. The IMRF alleged the pensioner violated provisions of the Early Retirement – Return to Work provisions within its authorizing statute. Sorling Northrup attorneys argued that the IMRF’s decision to reclaim portions of the retiree’s pension, for the alleged violations, was outside the agency’s jurisdiction. The Illinois Supreme Court agreed with Sorling Northrup, finding the agency failed to follow its own explicit statutory rules when it tried to commence forfeiture proceedings. The Court further confirmed the Sorling Northrup attorneys’ argument that administrative agencies do not possess equitable powers and must act within the confines of their authorizing statute. Presentation: “Important Aspects of Illinois Drainage Law"
On January 10, 2013, Jeffrey T. Baker made a presentation entitled, “Important Aspects of Illinois Drainage Law” to the Land Improvement Contractors Association of Illinois, at the Association’s annual convention. Certified Livestock Manager training course completed. In March of 2012, David A. Rolf and Stephen F. Hedinger completed the Illinois Certified Livestock Manager training course. The training will assist them in representing livestock producers who encounter administrative, environmental and nuisance issues in agricultural operations. Sorling Northrup attorneys successfully represent the Springfield Mass Transit District. David A. Rolf and Lisa A. Petrilli successfully represented the Springfield Mass Transit District in defense of a claim brought by a passenger, who alleged she was injured on an SMTD bus. Although the jury returned a verdict in favor of the Plaintiff, the award was less than the amount of medical bills submitted by the Plaintiff to the jury. Sorling Northrup attorneys argued that there were no future damages, and that Plaintiff was contributorily negligent. The jury found that the accident and damages were 40% attributable to the Plaintiff, further reducing the verdict to an amount which was less than 15% of what the Plaintiff requested. Articles contributed to Volume II of the Critical Access Hospital Governing Board Manual. Lisa Harms Hartzler and Michelle P. Clatfelter contributed articles to Volume II of the Critical Access Hospital Governing Board Manual. 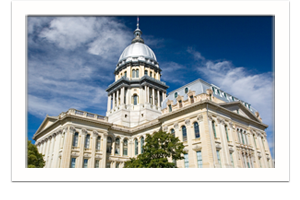 Ms. Hartzler authored "Illinois Open Meetings Act Requirements, Revisited" and Ms. Clatfelter authored "Sarbanes-Oxley Act of 2002: Implications for Nonprofit Hospitals." The volume was published in February 2012 by the Illinois Critical Access Hospital Network. Presentation: "Use and Disclosure of Protected Health Information in Connection with ARDC Proceedings"
On May 25, 2011, E. Zachary Dinardo made a continuing legal education presentation entitled, "Use and Disclosure of Protected Health Information in Connection with ARDC Proceedings," to attorneys and staff of the Attorney Registration and Disciplinary Commission in Chicago. Presentation: "Physician Contracts and Business Arrangements"
On May 24, 2011, E. Zachary Dinardo made a presentation entitled, "Physician Contracts and Business Arrangements," to medical residents of SIU School of Medicine in Springfield, as part of the Department of Medical Humanities' residency education program entitled, "Universal Issues in Medical Practice. Sorling Northrup serves as counsel for hospital, before the U.S. Court of Appeals. On March 7, 2011, the U.S. Supreme Court declined to hear the appeal of a hospital chaplain who claimed that she was terminated from her employment in retaliation for raising concerns about her former boss. The U.S. Supreme Court thus left standing a 2010 U.S. Court of Appeals decision and a 2009 U.S. District Court decision previously issued in favor of the hospital in this Title VII of the Civil Rights Act cause of action. In affirming the decision of the U.S. District Court, the Court of Appeals agreed with the position advocated on behalf of the hospital by Sorling Northrup attorneys, namely that the chaplain’s comments did not constitute recognizable opposition to discriminatory practices, nor did she participate in an investigation out of which a retaliation claim could be raised. John A. Kauerauf of Sorling Northrup served as counsel for the hospital before all three courts, presenting oral arguments before the U.S. Court of Appeals and filing a brief in opposition to the chaplain’s petition before the U.S. Supreme Court.